There is lots of room for everyone to spread out here at the School House Inn. 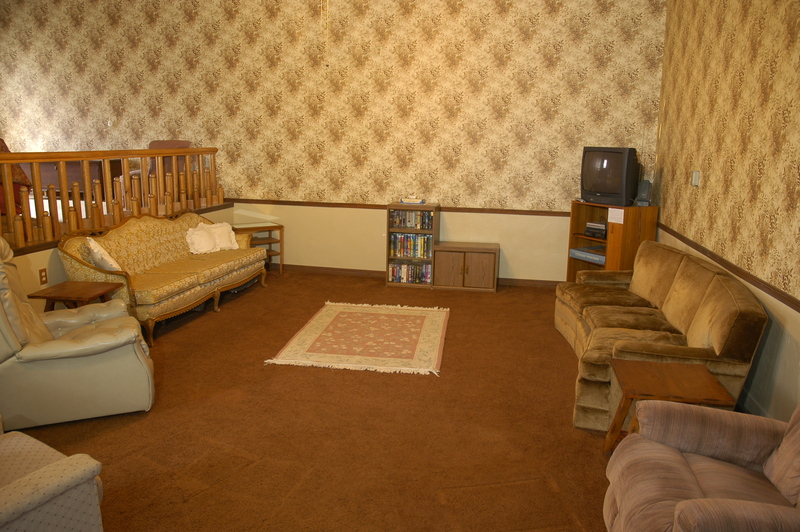 Enjoy our spacious living room, large kitchen, gymnasium, and roomy grounds. This charming eat-in kitchen is perfect for a dinner with friends or a big family breakfast. 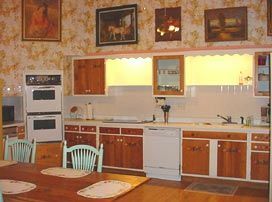 Comes equipped with fridge, double ovens, stove top, dishwasher, microwave, and a large pantry with a washer and dryer. This large room is a great place to gather at the end of the day. Pick out a movie to watch or just relax and enjoy each other's company. 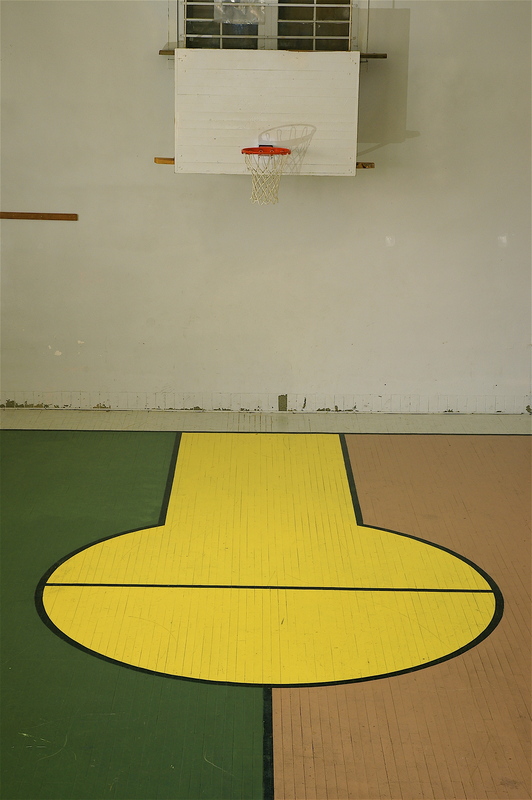 The fully restored gym is the perfect place to practice your basketball skills. It's also the perfect place for the kids to play while the adults spend time together in the large living areas. 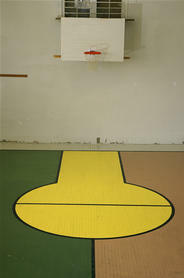 For guests and townspeople alike, this gym is also used for wedding receptions, meetings, seminars, and family reunions.